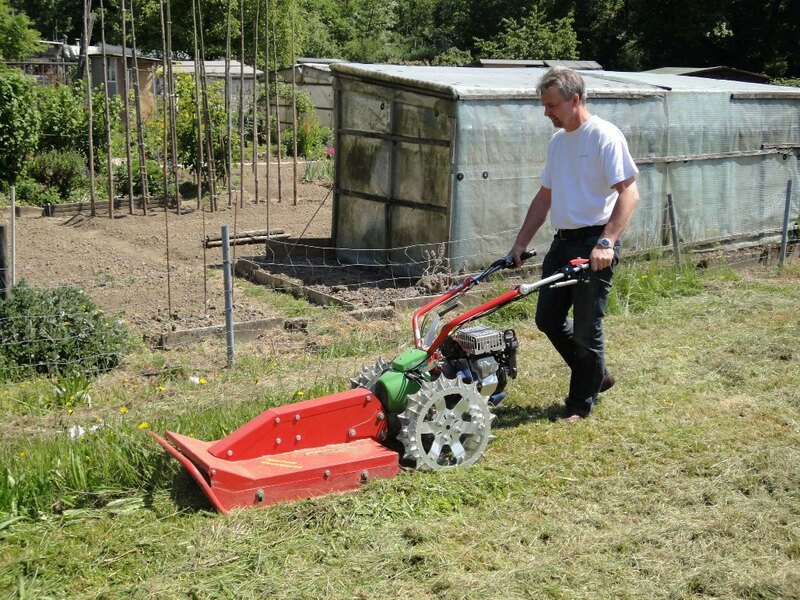 The Rapid Rex may be the smallest model in our range but it is big in capability. 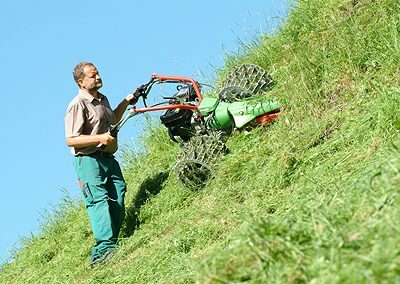 Designed as a machine to be especially capable of performing on the steepest of ground, it is a pleasure to operate being only 89kg in weight, and when equipped with suitable sprocket wheels, sticks to slopes like no other. 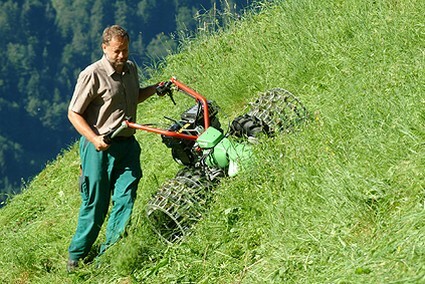 It retains the familiar Rapid twist grip control of the hydrostatic drive and features full active steering affected by movement of the handlebars. 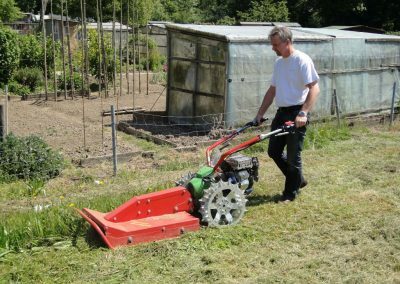 The independent PTO is engaged by simply pressing a switch and the attachments are engaged into the Rapid tool free quick attachment flange. 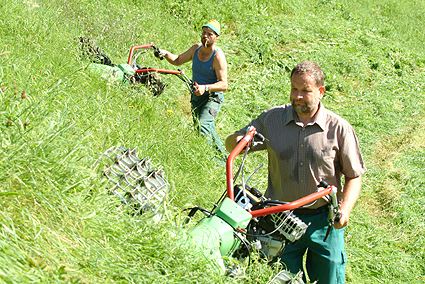 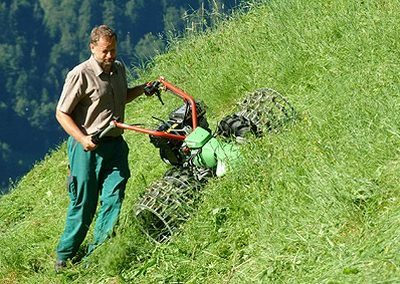 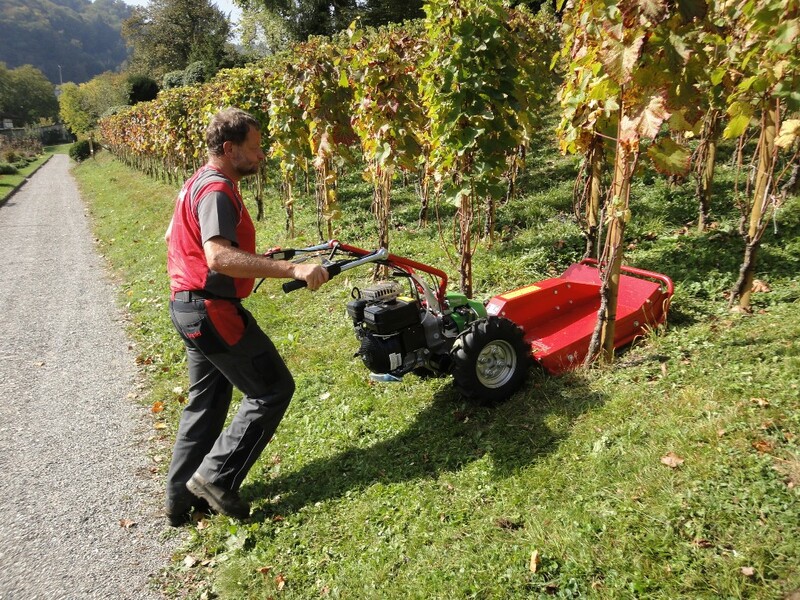 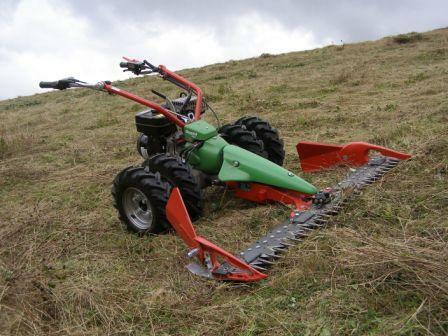 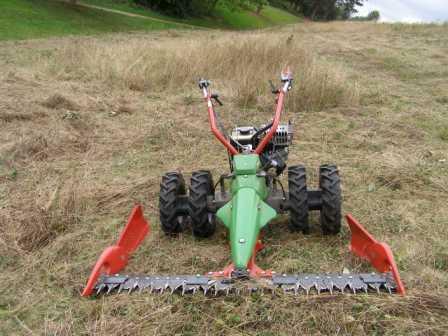 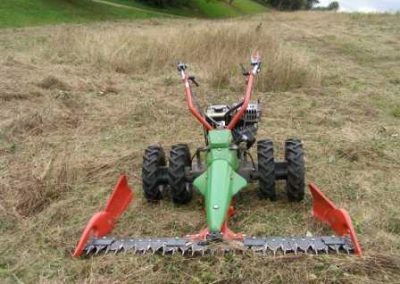 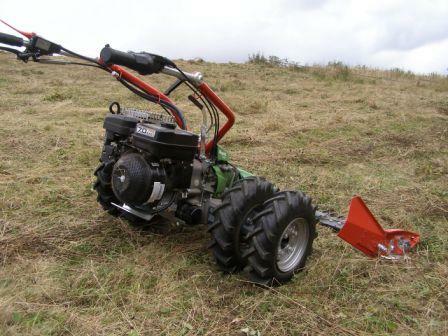 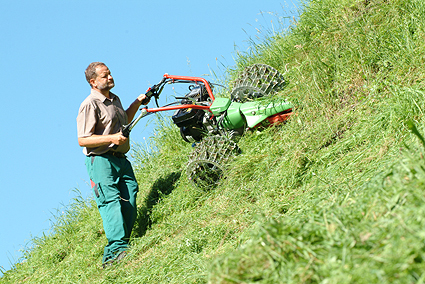 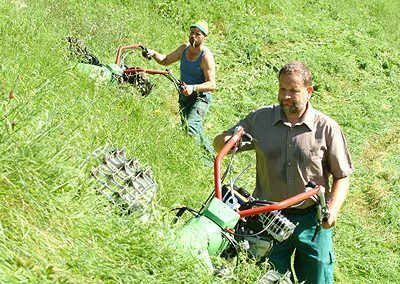 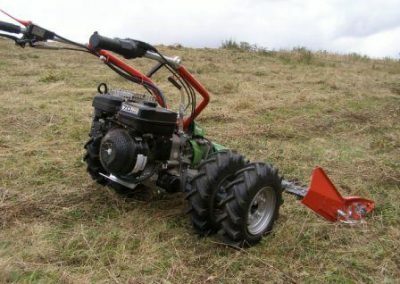 The Rex is most suited to grasscutting on steep slopes with various cutterbars available, but in addition we have a rotary deck for mulching overgrown areas such as bramble, bracken, thistle or nettles etc. 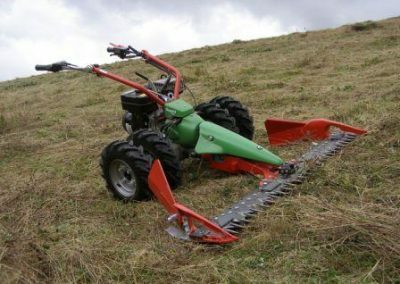 Snow blades and sweepers are also useful attachments.